Have you used a website’s chat option to get a question answered quickly? 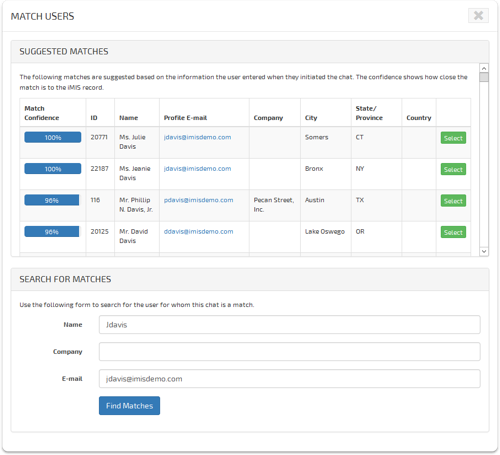 Want to offer the same convenient customer service to your site’s visitors? 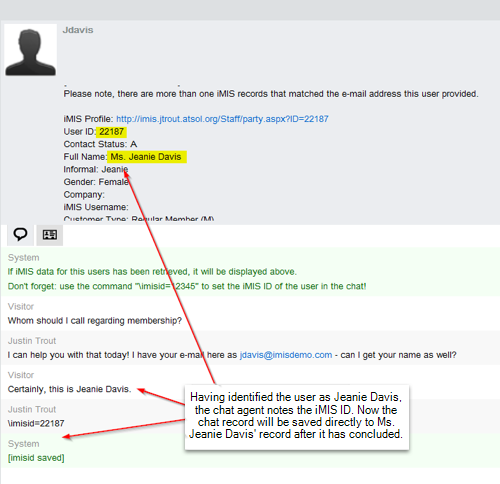 Now you can with the ATS Chat Module for iMIS. With a user-friendly chat interface, the ATS Chat Module makes communicating with your staff easier for your members and other customers. Since it integrates with iMIS, it makes providing excellent service to these visitors a simple process for your team while also reducing phone calls, enhancing engagement, and helping you gain an even better understanding of your members and their needs. Industry experts share the power of chat. 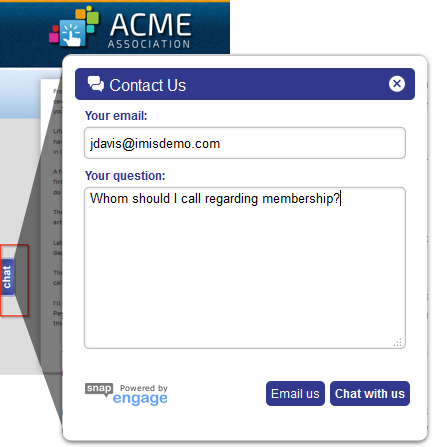 A chat module – compatible with your association’s brand and design – is placed on as many pages of your website as needed for real-time, online communication with visitors. An administrative portal, which can be integrated with your staff site, is created for use by designated chat agents. When a visitor initiates a chat, the logged-in chat agent is notified via the portal. If he or she isn’t available, a message can be left for later response. Via an intuitive user interface, the visitor’s iMIS record is automatically identified at the start of the session and can be accessed by the agent throughout the chat. At the session’s end, all chat text is automatically written to an iMIS activity record. This data can then be integrated with IQA queries and reports.